0-1 ft., 1-3 ft., 3-6 ft., 6-12 ft., 12-36 ft. 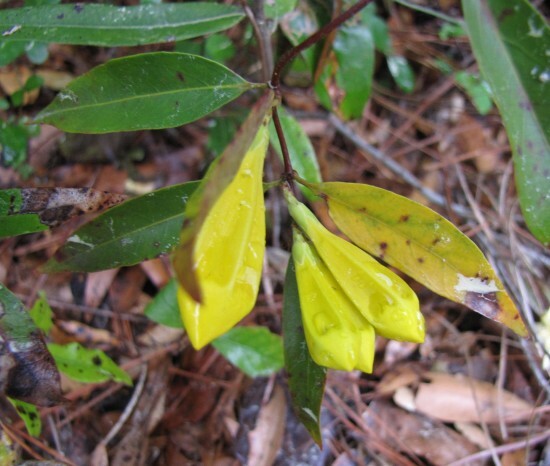 In a wide range of habitats, from swamp forests to dry uplands and thickets, also commonly planted as an ornamental (Weakley 2015). Common in the NC Piedmont and Coastal Plain. Can be an aggressive grower. All plant parts toxic to people and livestock. 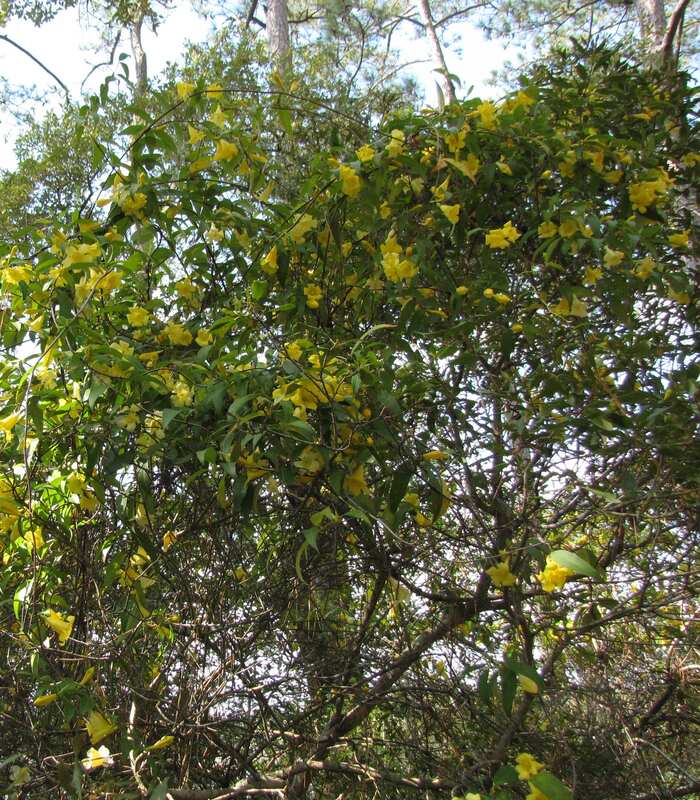 The intensely fragrant flowers appear in late winter or early spring. 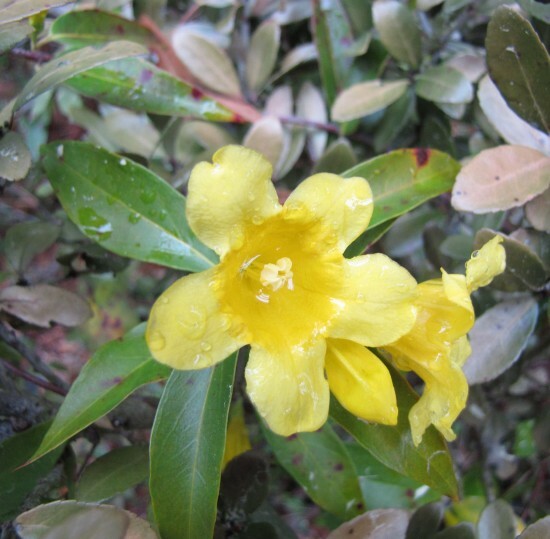 Carolina Jessamine blooms heavily and can climb high even on pines. It often forms tangled thickets. 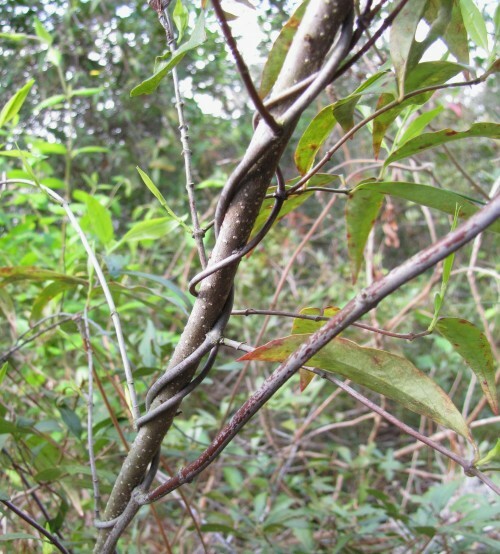 Reddish brown, slender but very strong stems climb by twining.